McFarlane Toys’ founder and legendary artist Todd McFarlane and his award-winning McFarlane Toys design group, in conjunction with Robert Kirkman and Skybound Entertainment, are excited to bring the comic series main protagonist, Rick Grimes, to life in this limited-edition, highly-detailed, hand-crafted cold-cast resin statue. 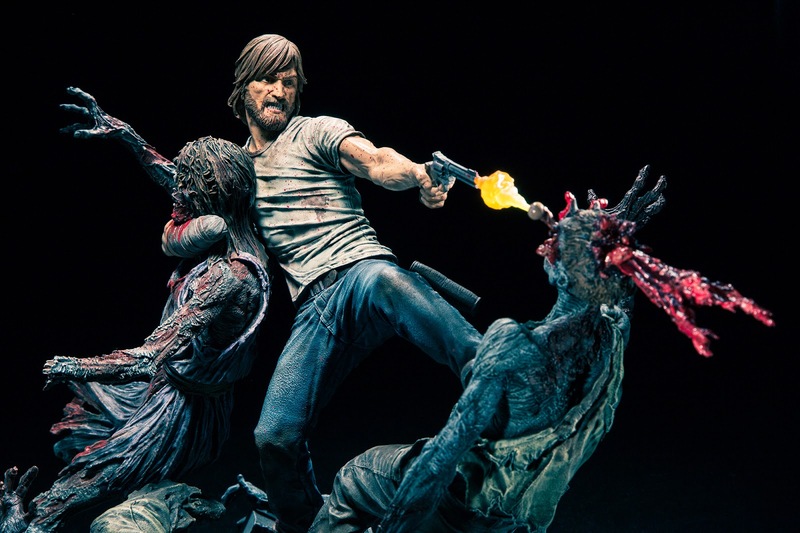 Hardened by killing and loss, a harsher, tougher Rick Grimes has emerged from the rubble of this post-apocalyptic world.Standing more than 12 inches tall, The Walking Dead limited-edition statue depicts the comic version of Rick, in a desperate struggle against the endless wave of the undead. Rick single-handedly exterminates a hoard of zombie threats in his unyielding mayhem! 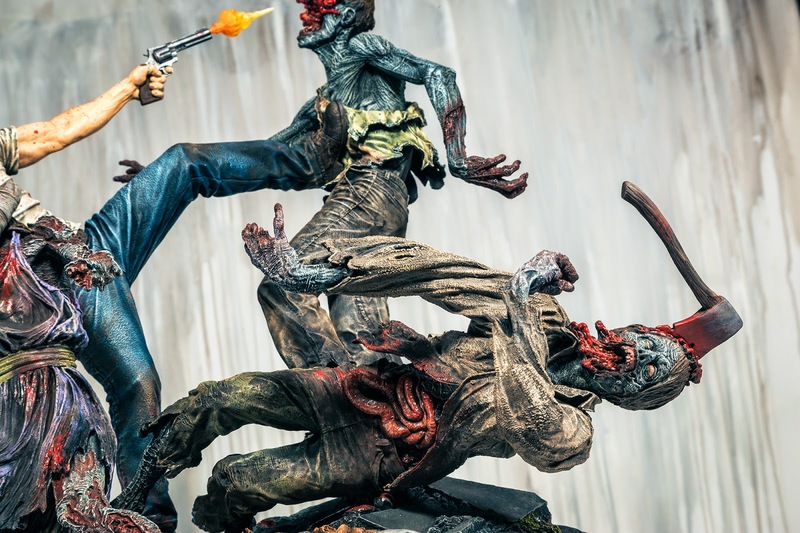 Based on a rough sketch from The Walking Dead visionary himself, Robert Kirkman, and fleshed out by the McFarlane team, this eyeball-popping, brain-splitting, and gun-blazing concept has turned into the most detailed The Walking Deadstatue created to date. This hand-painted piece not only includes Rick Grimes and three full zombies, but also three zombie heads and a slew of body parts smeared across every angle of the 360 degree rotating rubble base. From the exploding brain matter and a head-locked zombie to a zombie head crushed under Rick's boot, you can feel his rage throughout the entire piece. 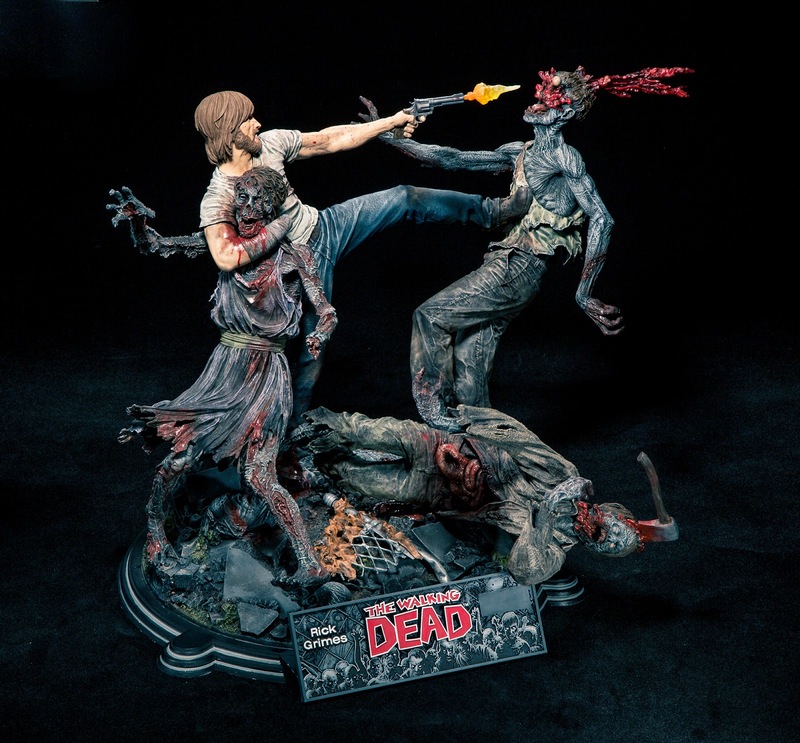 Each statue also includes a highly detailed sculpted plaque that is individually numbered, along with a certificate of authenticity signed by both Robert Kirkman and Todd McFarlane. 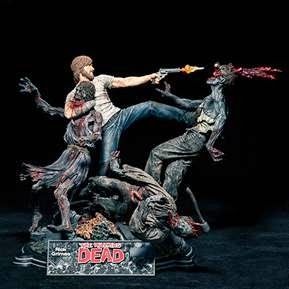 The Walking Dead Rick Grimes resin statue retails at $295 (free shipping and handling; only available in the U.S. and Canada) and is now available on the McFarlane Toys online store (http://www.mcfarlanetoysstore.com). A limited quantity of statues will also be available in the US through Diamond Comic Distribution.